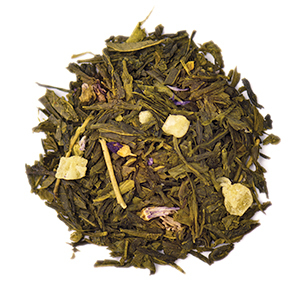 Green tea*, Ginger bits*, Lemon peels*, Lemongrass*, Natural flavors. *Organic. 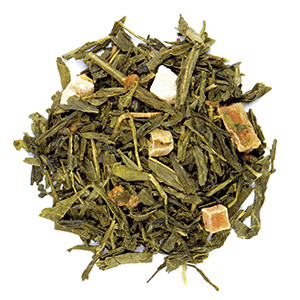 Green tea*, Papaya pieces*, Strawberry pieces*, Natural flavors*. *Organic. 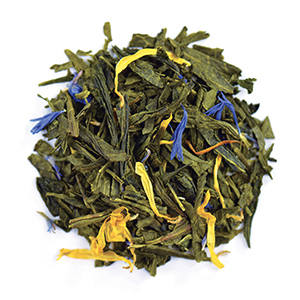 Green tea, Marigold blossom, Cornflower blossom, Natural flavors. 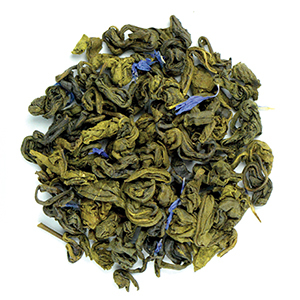 Sencha green tea, Pineapple pieces, Mallow petals, Natural flavors. 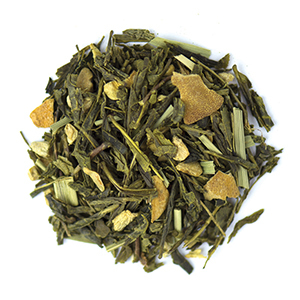 Green tea, Spearmint leaves, Dried lemon, Dried orange peel. 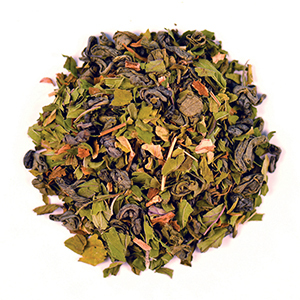 Green tea, Spearmint leaves, Papaya pieces, Strawberry pieces, Dried lemon, Dried orange peel, Natural flavors. 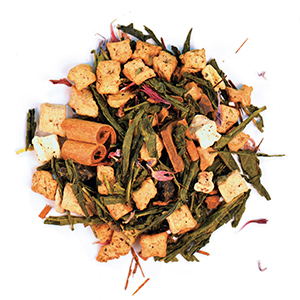 Green tea, Apple pieces, Cassia bark, Plum pieces (plums, rice flour), Cinnamon, Rooibos, Red cornflowers, Blue mallow flowers, Natural flavor. 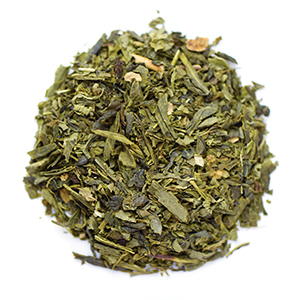 Gunpowder green tea*, Peppermint leaves*. *Organic. 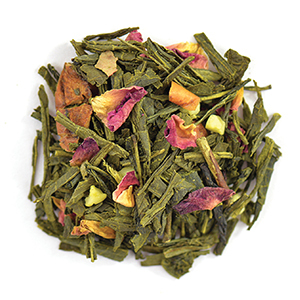 Green tea, Sultanas, Almond bits, Apple bits, Date bits, Beetroot bits, Rose petals, Natural flavors. Contains: Almonds. May contain other tree nuts. 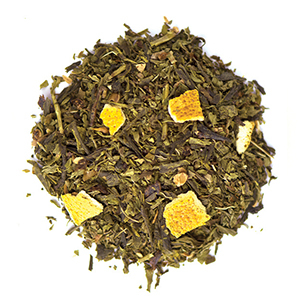 Tea (black tea, green tea), Cinnamon bits, Orange peel, Nutmeg, Natural flavor. 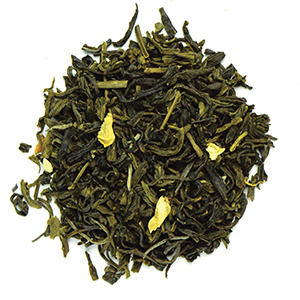 Green tea, Marigold flower, Natural flavors. 1. 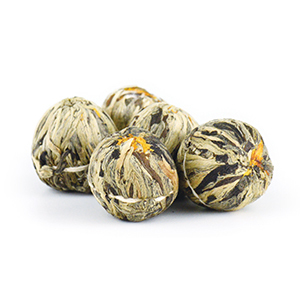 Place 1 flower tea ball in teapot of your choice. 2. 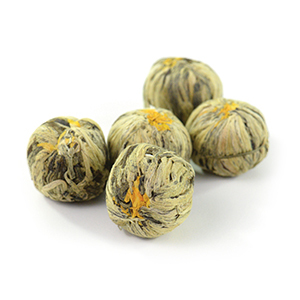 Pour 1L (4 cups) of hot water over flower tea ball. 3. 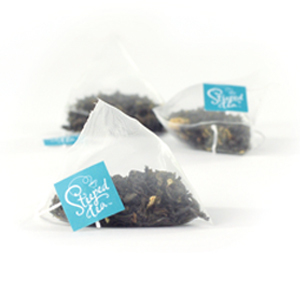 Steep for 7 minutes for best flavor. 4. 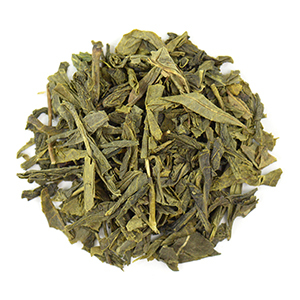 Re-steep leaves and enjoy multiple cups. 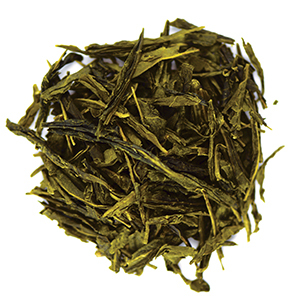 Green tea is a traditional mature leaf tea that is wonderful on its own or blended with a variety of different ingredients. 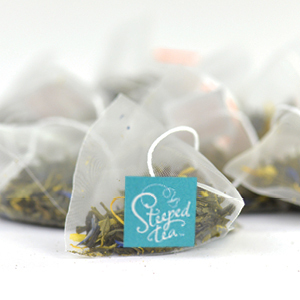 Stop and smell the flowers  enjoy a cuppa with The Bling Teapot (9268). 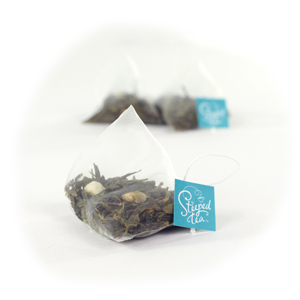 Tea it up and create your own tea traditions; contact your Sipologist to book a traditional Green tea tasting. 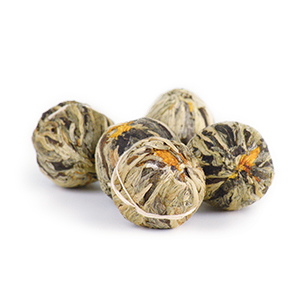 Green tea, Marigold flower, Natural flavor. 4. 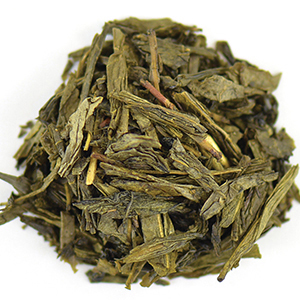 Re-steep leaves and enjoy multiple cups. Sip on!